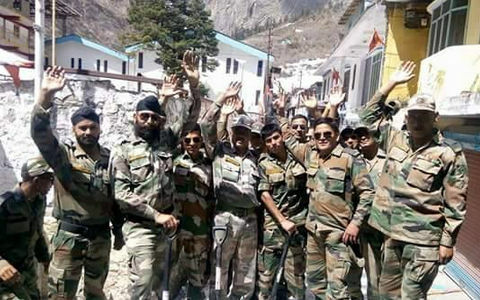 The Indian army left for Hemkunt Sahib to prepare the road for the journey to Sri Hemkunt Sahib Ji. The harsh winter damages the trail to the Gurdwara Sahib every year which requires maintenance by the Indian army. The Indian Army often monitors Sri Hemkunt Sahib on the way towards the Chinese border during the winter time. The journey to Sri Hemkunt Sahib will begin on June 1, 2015 and will be telecast-ed on Chardi-Kala Time tv.